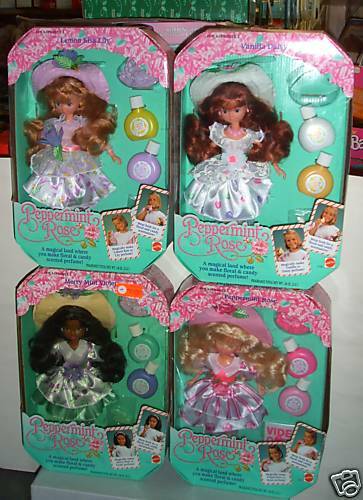 Peppermint Rose was a line of dolls and plush toys and figurines, made by Mattel and American Greetings in the early 1990s. It also inspired an animated half-hour special that was made in 1993, aired syndicated and released on video. 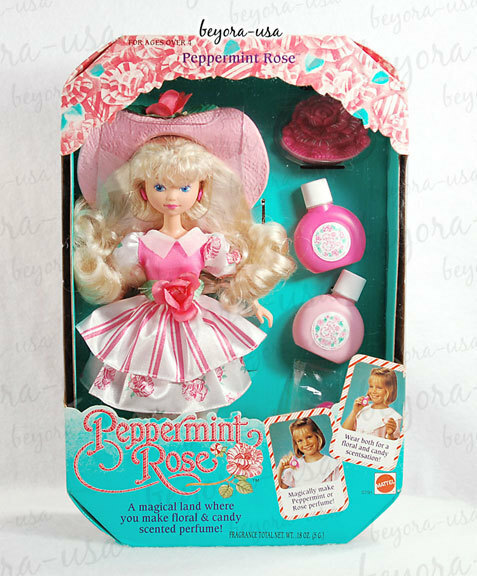 Peppermint Rose – Leader of the group, dressed in pink and white. In the animated special, her full name was Rose Richards and she was a typical stereotype of a valley teenage girl. 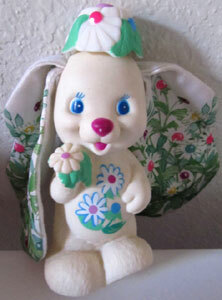 Miss Vanilla Daisy – Brunette, dressed in white with assorted colors. In the animated special, she was the smart-mouth tomboy. 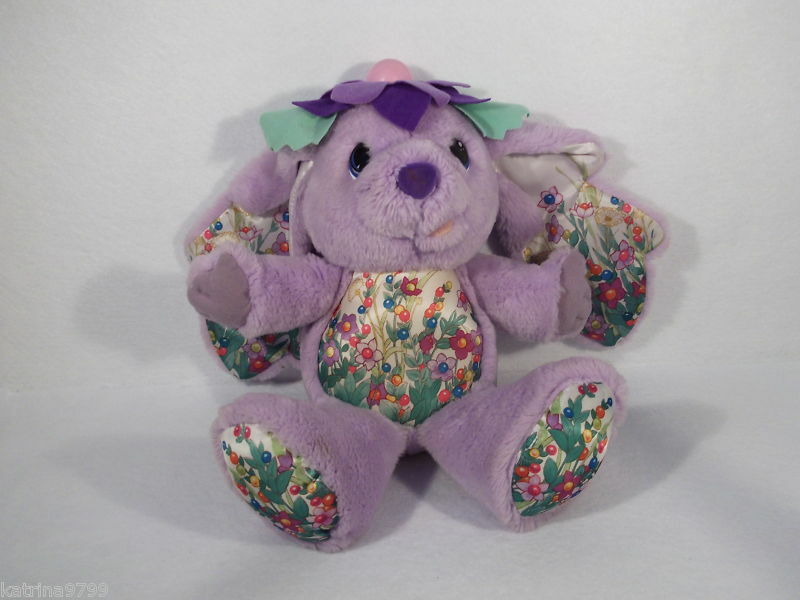 Lemon Kiss Lily – Light brown haired girl in violet and lily-colored dress. In the animated special, her final name was Lemon Drop Lily. 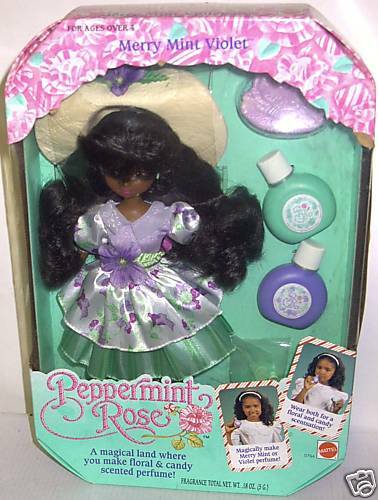 Merry Mint Violet – African-American girl in deep purple and green dress. Other than the doll, she was included in the animated special but not in other products such as stickers, puzzles and cards. 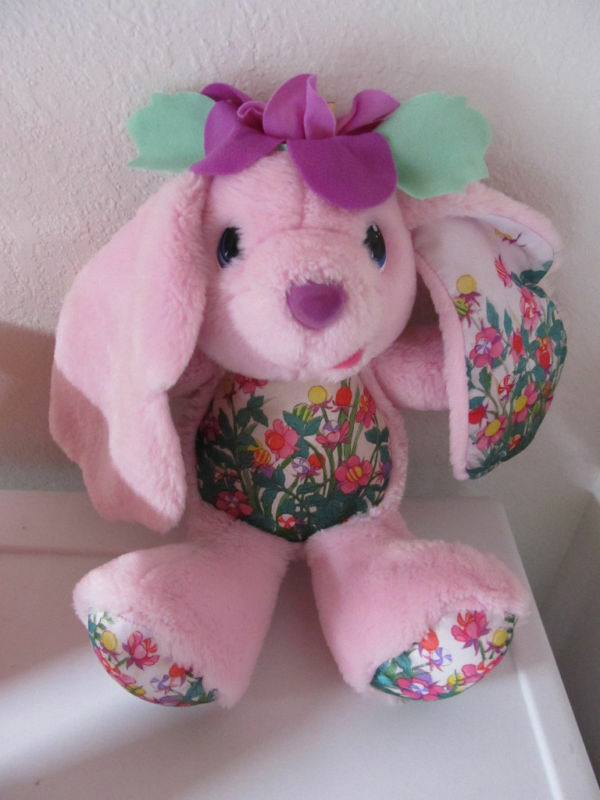 The plush toys were called Candy Blossoms. 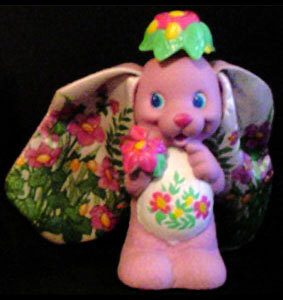 They are large rabbit-like creatures with huge ears and flowers on their heads, they were sold as plush ‘teddy bears.’ There is a small compartment on the top of their heads that held a perfumed substance. The figurines were called Sweet Spray. They are much like the Candy Blossoms but sold as little figurines. 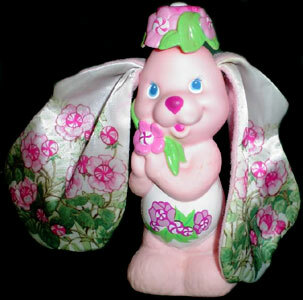 Sweet Sprays atomisers were three plastic bunnies with large, floral printed fabric ears. They could be filled with the perfume provided and squeezed to mist out the scent. Do you carry these dolls or know where I can buy them? I know there’s a seller on ebay but they seem to be charging an arm, leg and part of my soul- so clearly way outta my price range. Thanks for all the info. 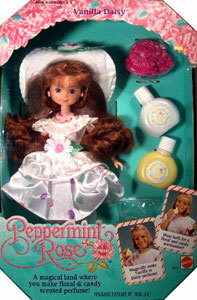 I WISH I had some peppermint rose toys and dolls in my toy shop! They are extremely hard to find! 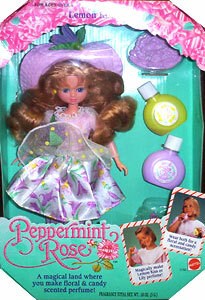 I did see the going price for Peppermint rose dolls NIB was about $81.00.